The baseball parking lot off of Park Ave. This is the best area and most underutilized. Front of the school. This is a right turn only when exiting. The student parking lot. This is right turn only when exiting. Drop off early. Traffic will be backed up beginning at 7:00 a.m.
Be patient, there will be traffic until everyone learns the flow. Obey the right turns only. We ask that you do not drop your child off in the middle of the street. We ask that you speak to your child about using the cross walk if they walk to school. 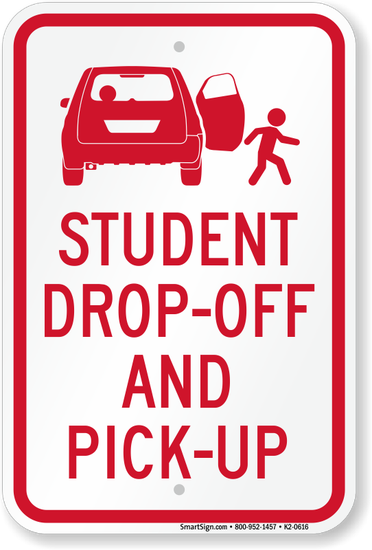 Do not use the bus drop-off as a student drop-off. 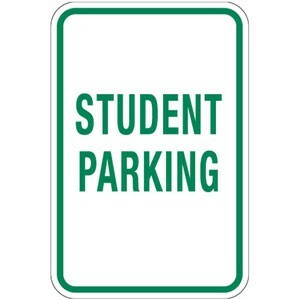 I know we are all aware of our challenges with the insufficient amount of student parking and the number of students eligible to drive. Student parking passes have sold out and we are not taking names for a waiting list. There is no student parking allowed in the Sugar & Spice parking lot, Estrella Estates Retirement Community, or the community parks. Parking in the neighborhoods is at your own risk. Neighborhoods have taken measures to post "no parking" signs on streets. Vehicles will be towed. We encourage students to carpool, ride the bus, or walk.